Enjoy the tactile wonders of paint, glitter, glue and more. 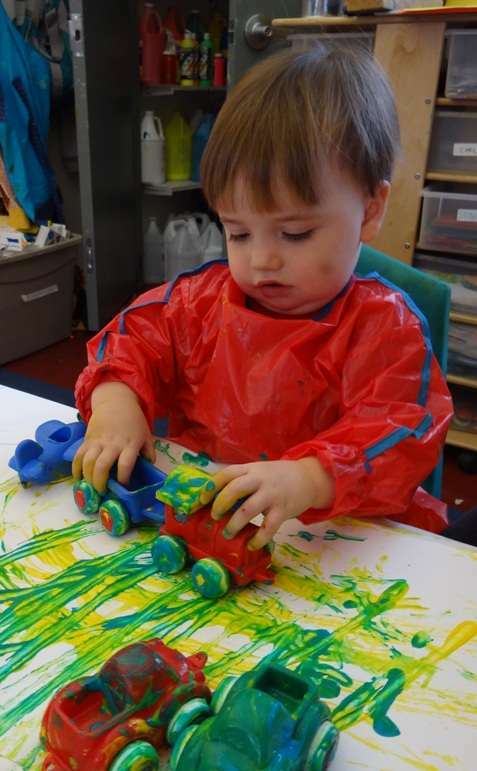 Smocks or "messy" clothes recommended. For toddlers ages 2 - 3 years with caregiver. No registration is necessary.